We are not at a milestone like ‘100 days’ or ‘six months’ but a lot has happened in the past month from a policy perspective so I thought I should write about it. The Works for Taxes modality was first introduced to the country through the fiscal reform of 2016. What has happened since? 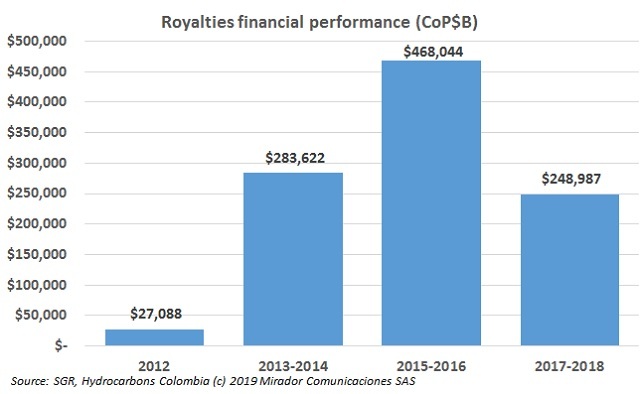 Ecopetrol’s (NYSE:EC) operations were so profitable in 2018 that the value of its shares could be twice what they were in 2017. Here are the details. The government’s new National Development Plan brought changes such as the elimination of some subsidies, but integrated other benefits for the most vulnerable population, like gas subsidies. The Mining and Energy Planning Unit (UPME) published the members of the National Council for the Operation of Natural Gas (CON Gas). The entity announced the group of producers, distributors, transporters and generators terms. Ivan Duque, President of Colombia, promised to make changes in the oil sector to boost its growth and the General System of Royalties (SGR) is one of the main discussion topics. Communities and authorities spoke on this issue in an Oil and Gas forum in the municipality of Aguazul (Casanare). The National Hydrocarbons Agency (ANH) announced the official launch of its Permanent Competitive Process. Here is what the industry has to say about it. The spokesman for the Commission of Experts created by the Ministry of Mines and Energy (MinMinas) explained why the government should wait to implement this controversial technique. The government of Ivan Duque wants to encourage oil sector growth, through the signing of new oil contracts. Colombian authorities and the industry have already signed new agreements, representing large investments. However, some factors could affect their development. 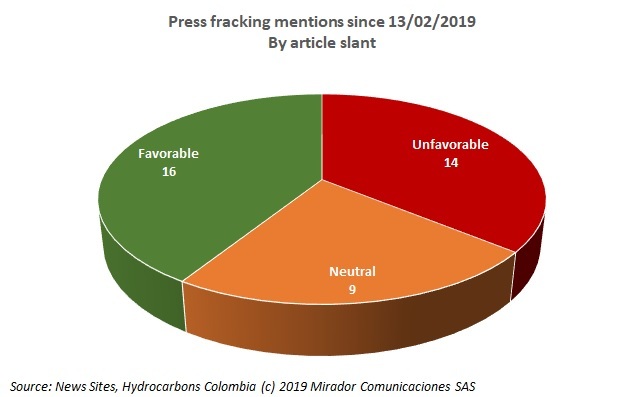 On February 14, 2019 the Commission of Experts gave its report on the adoption of fracking / unconventional technologies for Colombian exploration and production. We have written several articles on the content. Here we talk about the press reaction.